What is SEO | As with most things, computer language has its own language. When you create a website, you will most likely encounter a lot of new lingo and although some of them are actually very logical, there are some terms that might be a little weird, even for the techie among us. SEO is an abbreviation for Search Engine Optimization, and there is nothing really mystical about it. You may have heard a lot about SEO and how it works, but what it really is is a measurable, repeatable process used to send signals to search engines that are worth showing your pages in the Google index. Basically Google uses a complex mathematical formula, called an algorithm, to give a score to every website and every search that people in Google have to do to find out which website should be best classified for what people are looking for. See the algorithm as a collection of empty buckets. One bucket gives you a score for the quality of your site, one bucket gives you a score for the number of sites that link to you, one bucket gives you a positive score for how people trust you. Your job is to fill more buckets in the algorithm than any other website. You can influence your search engine ranking by getting the highest score in terms of quality of your site, to get the highest score in terms of authority of your website, to get the highest score in terms of the most trusted store for that search that people are looking for. The good thing is that there are hundreds of buckets, and for each of these buckets these scores together in the algorithm to find out where your ranking is a chance to fill it and better rank it. So optimizing your site for search results means actually achieving the highest score in as many of these points as you can. Some buckets are worth more than others and the three most important buckets of which you need to be aware of rankings of search results are quality, trust and authority. Quality: what Google tries to measure when they try to find out what sites should rank is something valuable, unique or interesting for searchers on Google. For example: good content - if you sell t-shirts and you use the same description that every other t-shirt vendor uses on their website, you do not offer anything unique for Google searchers. Although your t-shirts look pretty cool, the content is the same as that of others. What is SEO | Google can not say that your t-shirts or your t-shirt site is better than others. Instead, offer interesting content to people. For example: offer them the opportunity to personalize their t-shirt. Give them information on how to wash it. What is the number of threads? Is it stain resistant? Is this something you should wear in the summer or is it heavier for the winter? Giving people information or even being more creative. Let people share photos of themselves with the T-shirt. Create a big as much community of people who are interested in your product. Let a famous person wear it and share that photo online. Do something different, do something unique. Let Google see that you are different and better than the other search results. Trust is another important bucket that you should be aware of when you try to rank your site in Google. 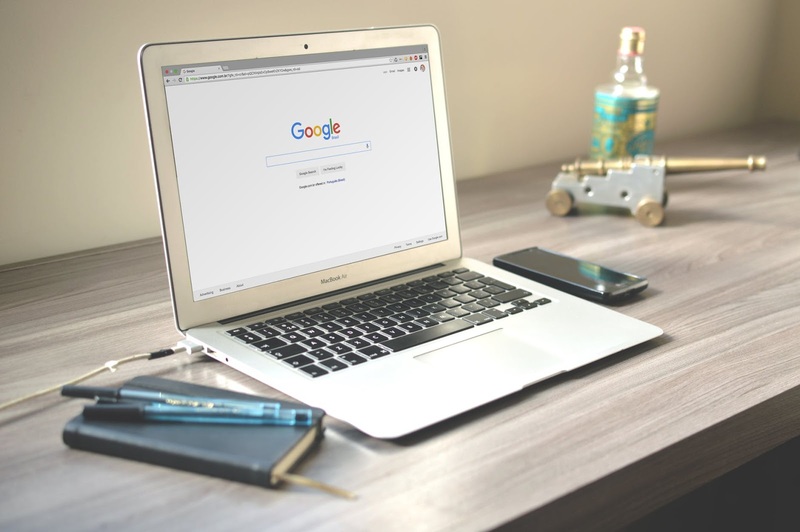 Google does not just want to show every website to its searchers, it wants to show the best website to its users, and so it wants to show websites that are reliable. One thing Google has mentioned is penalizing sites or stores or companies that always have bad reviews, so if you have a lot of bad reviews, Google will find out over time that your site is not showing up in their rankings because Google does not. t wants to show those sites to their searchers. So proof to the algorithm of Google that you are reliable. Ask other very authoritative websites to link to you. Receive newspaper articles, get branch links, get other trusted sites to link to you: partners, suppliers, satisfied customers - make sure they link to your website to show that you are very credible and reliable. And finally, the other most really important bucket is authority. Google wants to show sites that are popular. If they can show the most popular t-shirt seller to people who want to buy t-shirts online, that's the site they want to show. So you have to convince Google - send them signals that your site is the most popular site for the type of t-shirts you sell. Fill this bucket by building a fan base. Build a social network, let people link to you, let people share your t-shirt pages on their social network by saying 'I want this! ', Let people respond, leave testimonies, show photos of themselves wearing the product or use the product, make a fan base and then collect them to link to you and talk about you. This is how Google proves that you are reliable and authoritative. What is SEO | So when you think about it, SEO is really just a process to prove to search engines that you are the best site, the most authoritative, the most trusted, the most unique and interesting site they can offer to their customer - the searcher. Let people talk about you, produce high-quality content, link people to you, and Google has more confidence that you get the best results they can offer their searchers, and that's when you start ranking on the first Google page. Writing materials with a large SEO potential can be a challenge. You need to get a good balance of keywords without being accused of filling keywords - a big no-no in the SEO world. In fact, that means that all your content is keywords and that it makes no sense, has no real information and is just there to have many keywords present. Authority may seem an easy one. Someone with authority must be answered and the same applies here. It means the level of trust that a site has of the major search engines. If the trust is high, that's good, and it means that the site scores high. If not, it will not and that is bad news. Bread crumbs are a great ingredient for meatloaf and they work well in fairy tales for characters to get back to where they started. In SEO language, breadcrumbs are navigation tools for websites that help visitors return to where they want to be on the site. We have many doors in our homes. They are used to enter and leave a room. In SEO, a doorway has a similar function because it is pages that are used to attract specific traffic from the search engine. The user will then 'enter' the site. Do you see what they did there? Content in SEO language use means the specific parts of a site that have the most value for the viewer, ie the articles, the meat of the site, the oomph if you wish. This is not the place for advertising, branding or navigation. There are airports across the country that act as hubs for different airlines. If you are at one of these hub airports, you can usually connect almost anywhere. The same applies to a hub in SEO. A hub is defined as an expert page with high quality (information, no keyword padding, etc.) and the user is linked to other related pages to further improve the search. An inlink may sound like something on a golf course, but for our purposes this means incoming links from other related pages (such as the hub) that are already a source of confidence. You can link to another page and back to get more information about your search as a user.